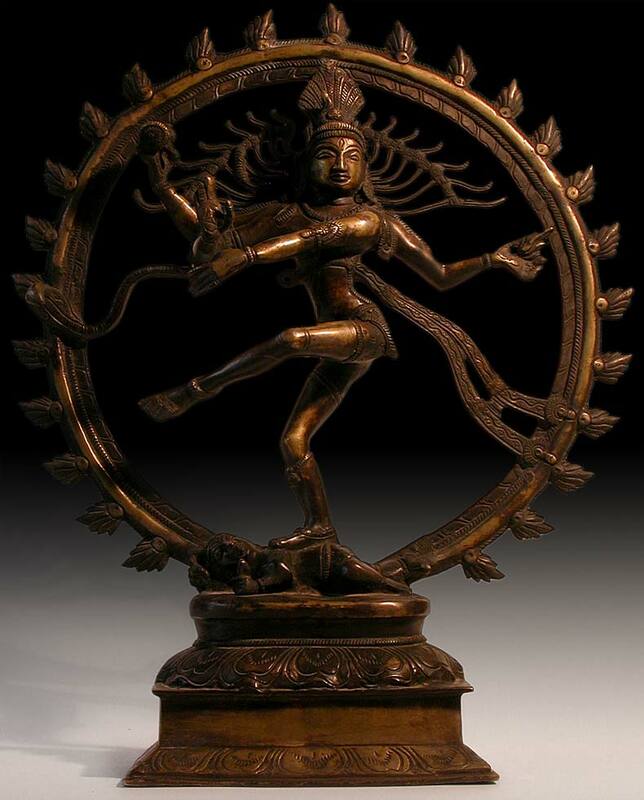 A finely wrought antique Indian bronze depicts Shiva Nataraja in the sacred dance of universal creation and destruction. For all cycles, all mortal lives and civilizations, all universes come into existence and come to an end. 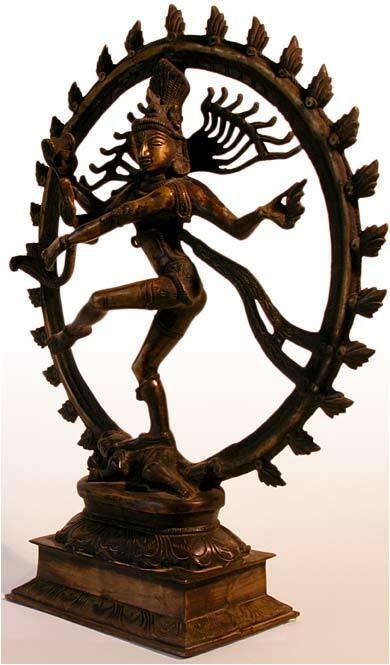 It is Shiva as Nataraja, who ignites the dissolution and creation of the universe at the beginning and end of cycles. 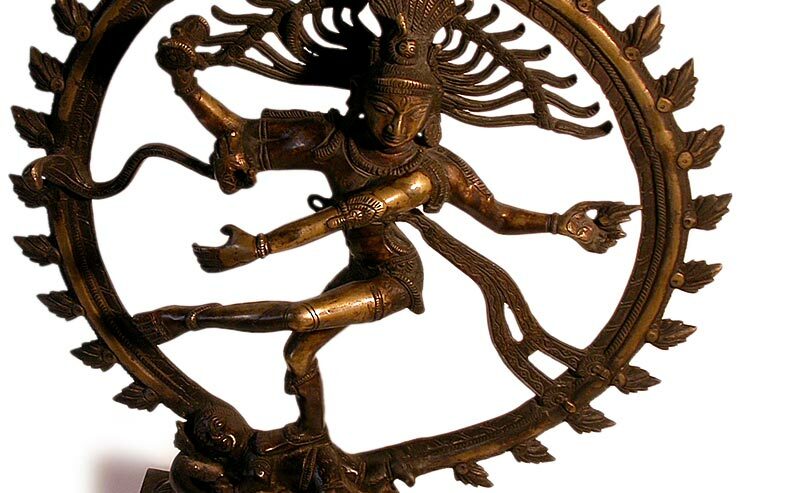 His dance is vivid and dynamic as he moves through the 108 forms and movements. 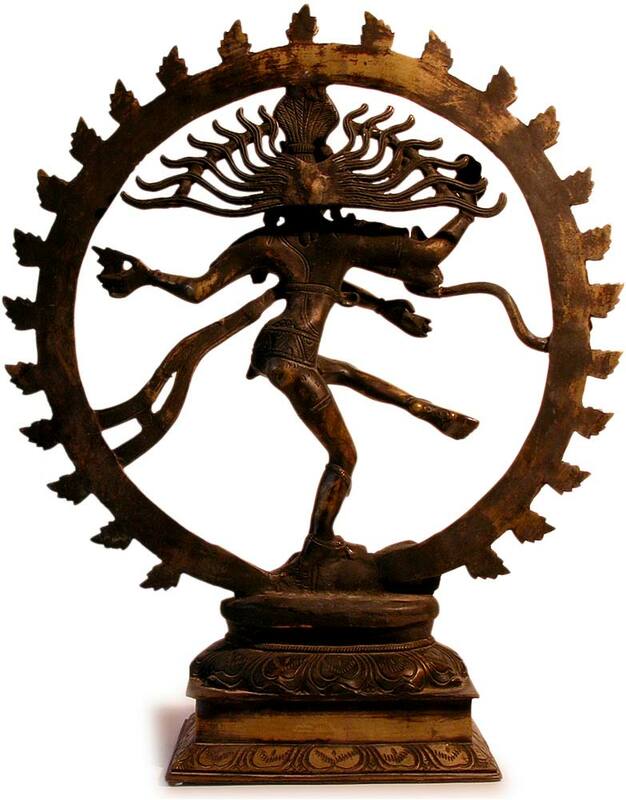 In his upper hand Shiva holds a damaru drum. His upper left hand holds the Agni fire of destruction. The lower right hand is in a gesture of no fear, with lower left hand affirming the independent nature of existence-- as indicated in the suspension of his left foot. 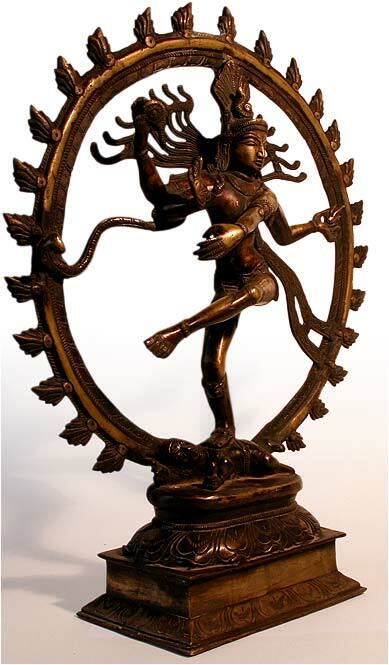 Shiva dances within a ferocious arch of flames and stands atop a dwarf that is representative of the dissolution of ignorance. His countenance is lucid calm, detailing the perfect counterpoint to the strength and cosmic dynamism of this deity amongst movement. 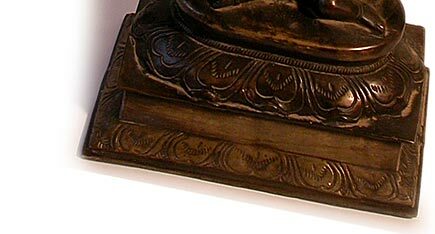 This mid size Indian bronze molded through the lost wax process exhibits exquisite patina and charm.